Whether you are celebrating a special milestone, like a birthday or anniversary, or simply want to show someone your appreciation, this gourmet gift tower is the perfect choice. 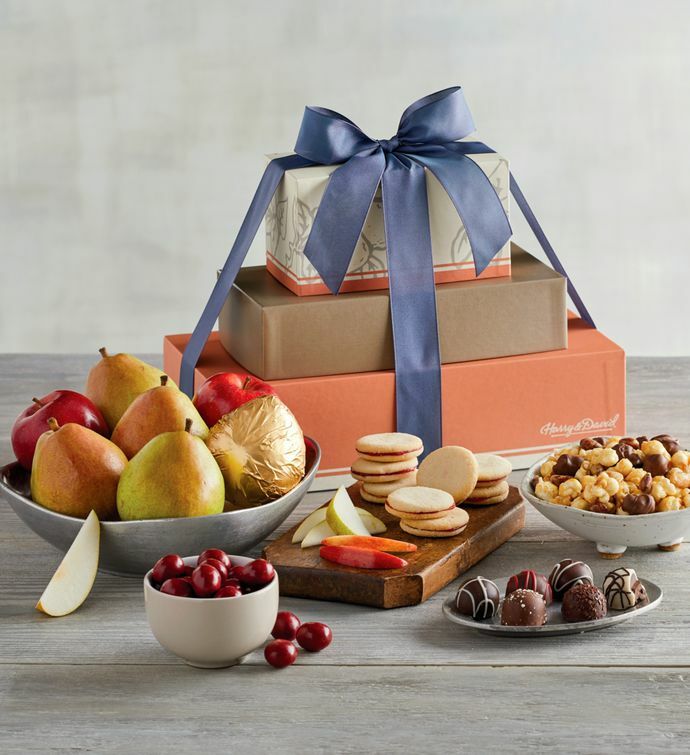 We fill three, beautifully decorated, reusable boxes with delights such as juicy Royal Verano® Pears from our orchards, sweet and crunchy Moose Munch® Premium Popcorn from our candy kitchen, and delectable raspberry galettes from our bakery. Everything is neatly packaged and topped with a hand-tied bow.